4397 N Sunset Cliff Drive sold today for 355K; the listing company is William Harvey Mordka Realty. This two-story home has almost 2,400 square feet and an uncommon floorplan. It boasts a three car garage, a swimming pool and a spa. It last sold 2 years ago for 18K less. 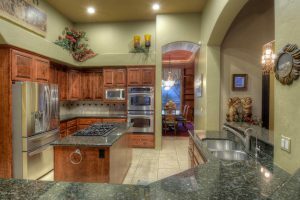 If you are thinking of selling your home give me a call or email me–520-615-2598 or Donna@DonnaAnderson.com. I promise excellent service! 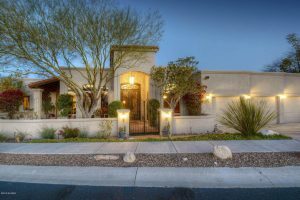 4287 N Sabino Mountain Drive–listed by Long Realty and the buyers were obtained by Tierra Antigua Realty-sold for 805K. The final sales price represents 32% less than I sold it for for 12 years earlier.This 3,582 square foot impeccable 4 bedroom, 4 bath ridge-top home boasts a large sitting room with fireplace in the master bedroom suite, a dining room library, a large sparkling pool and spa with high Santa Catalina Mountain views and a delightful courtyard. 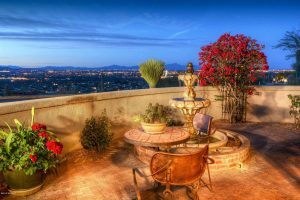 4397 N Sunset Cliff Drive just went under contract with a List Price of $374,999. This 2,372 square foot home boasts a 3 car garage, a pool and a spa. This house has a more unique floorplan than most of the other two-story homes on Sunset Cliff. The Master Bedroom is upstairs and it is about 600 square feet smaller than the most popular floorplan with the first floor master bedroom. Harvey Mordka Realty is the listing agent and originally sold the house to these Sellers. 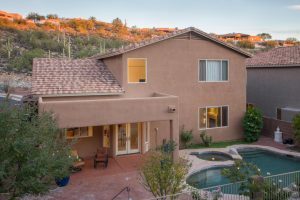 The houses for sale in Sabino Mountain are scarce: there are only two for sale: one priced in the low 700ks and one at $1,150,000. 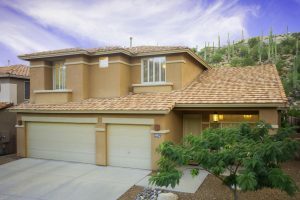 In fact homes for sale in the Catalina Foothills in the price-range below 500K are limited at this time. As a result, it is a great time to list your home for sale! Don’t hesitate to call me at 520-615-2598 or email me at Donna@DonnaAnderson.com to find out what your home is worth and to market your home for sale. 4079 N Sunset Cliff Place was listed at $399,900 by Long Realty and went under contract in only a few days and sold for full price. 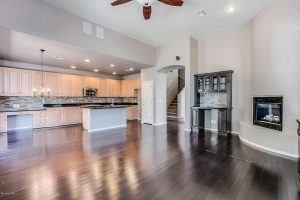 There is no surprise here since the following factors played out: it is priced correctly; it is model-perfect; there are very few attractive homes that are less than 20 years old in the Catalina Foothills on the market at the present time. It is a great time to list if your home will be priced between 300K-500K. As always I am a phone call away-520-615-2598 or an email me: Donna@DonnaAnderson.com. 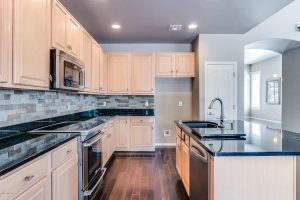 Any time you list your home for sale and it looks great and is priced right means it will sell, however, the usual rule-of-thumb prevails in this market–the higher the price, the longer it will usually take to sell. You are currently browsing the Sabino Mountain Blog blog archives for May, 2018.